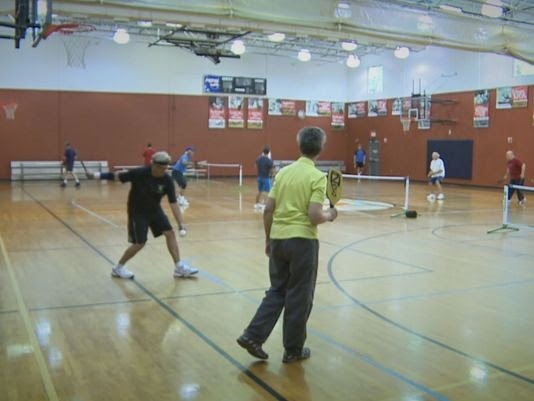 JACKSONVILLE, Fla. -- Pickleball has been called the fastest growing sport in the country. There are 6,000 places to play pickleball around the country, and dozens of courts and groups around the First Coast that are gaining traction. Despite what the name would suggest, there are no pickles actually involved in pickleball. It's a modified tennis-style game played with wiffle balls and tennis-elbow friendly paddles. "We play on courts half the size of tennis courts," said 71-year-old George Catalano. He's been playing since 2006, after having both knees replaced.